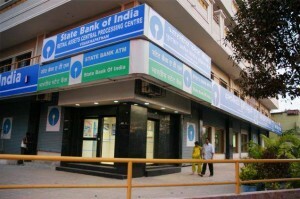 When will Indian PSU Banks Recover their NPA ? The sharp slowdown in economic growth under the Corrupt Congress Regime led by Sonia Gandhi, from a peak of 9% three years ago to about half of that level today has resulted in a 50% jump in Gross NPL ratios in the banking sector, not helped by lending to the weaker segments like agri and SMEs. Also, large corporate exposures have struggled due to extraneous reasons (project delays). SENSEX Valuations at Peak – What Retail Investors Must Do ? India continues to trade at a premium to the region, but given its stronger growth expectations under Narendra Modi (#NamoBullRun), it seems well placed on a PEG basis vs. peers. Most market indicators also indicate valuations FAIRLY PRICED with NIFTY quoting at 7,900. With a firm government in place, we think the implementation of reforms could jumpstart earnings in coming years. Which Sectors of NIFTY Have Reached Peak Valuation ? Are Investment in Indian REITs par with StockMarket for Capital Gains ? for REITs in the recently presented Union Budget F2015. This should facilitate REIT formation in the months ahead, we believe. We have presented below the highlights of the tax pass through.